This past weekend I was lucky enough to travel to the Chicago Land to both hang with friends and attend the Kankakee Fly-in put on by Jaro Krupa and Chicago Paragliding. I had no idea how much fun I could actually fit into a three day period out in the land of the flat! My trip started with a late arrival Wednesday to Naperville, IL where I linked up with Jeff Goin of footflyer.com. I had brought my Mirage 26 with me on the plane, and Jeff was nice enough to loan me one of his Miniplane ABM machines for an ultra-early morning flight departing from Jeff’s back yard on a private airstrip out in the burbs. We did some low flying in the fog, then headed over to a wide open field to film some landings for Jeff’s upcoming video Master PPG 4. This was a great opportunity for me, as I got to practice some next-level dynamic landings with the master himself giving pointers along the way. Ended up being a lot of fun, and I can’t wait to see the footage of us goofing off. Also my first time flying the ABM – what an awesome little machine. Even on a humid morning my 210 lb self was able to nail several no wind launches on a reflex glider in a tight environment. With a 40-some pound machine on your back, you have some serious mobility. Love it! After that, Jeff was gracious enough to take me up for a flight in his Enstrom helicopter. This was a real treat for me, as it has in fact been 5 years since I’ve flown a helicopter. Jeff even let me fly for a bit, shoot a couple of approaches/takeoffs, and do some hover work. Totally different world in a 1600lb helicopter with a twist throttle and no flight control assist. I held my own, but I do not have the finesse that Jeff does. After that adventure, Jeff and I packed up and headed down to Othar Lawrence’s place in rural Illinois. I had the Scout paramotor and Gin Vantage 22 shipped to his place, so after some assembly the three of us were able to catch a nice evening flight south of the Chicago suburbs. Othar and I headed down to the fly-in near Kankakee the following morning, but in our haste didn’t realize that we couldn’t fly until 7am – we had arrived an hour and a half early! Rather than wake everyone up, we headed up the road a bit to fly near a gravel quarry that Othar had wanted to check out. That was really like flying near a beautiful oasis hidden in the midst of cornfields and country roads. A very unreal experience. After burning off an hour of gas, we made our way to the actual event and met with some folks. This was great for me, as I really haven’t met many of the midwest PPG pilots in the country. What a great bunch of guys (and gals) with a really beautiful landscape to fly. Our days consisted of several short flights, low flying the corn, throwing down in front of the folks, hanging out under the Red Bull tent, helping John Erickson with the Parajet exhibit, showcasing the Scout, and visiting with friends. While there I got to try out two Parajet Zeniths, with the Top 80 motor and one with the Thor 130. I was so impressed by the Thor 130; it pretty much met my prediction as the go-to motor for anyone not doing tandems, way heavy, or launching a really small glider. Kudos to Polini for that design! 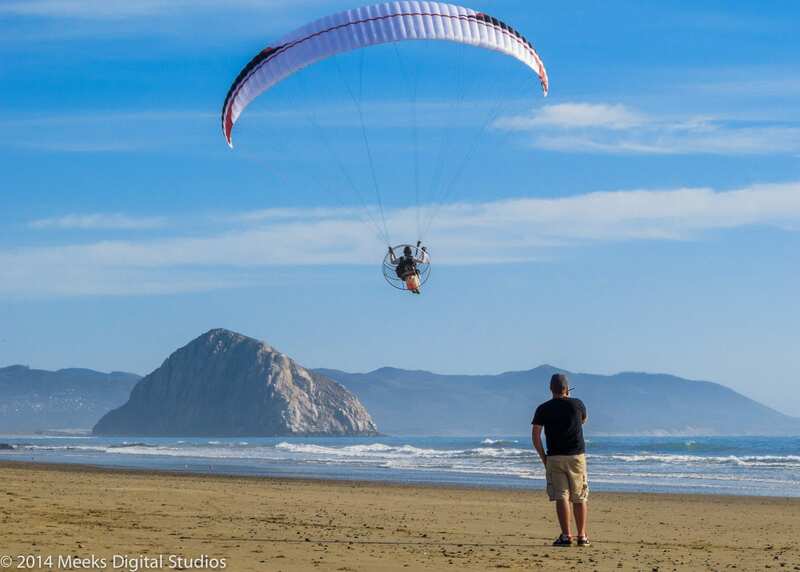 I was able to test the Scout Paramotor out with both the standard gooseneck bars and the hybrid weight-shift system ad nauseum. I am loving this design more and more every flight hour flown, and it made some serious impressions on spectators and those who were lucky enough to fly it. 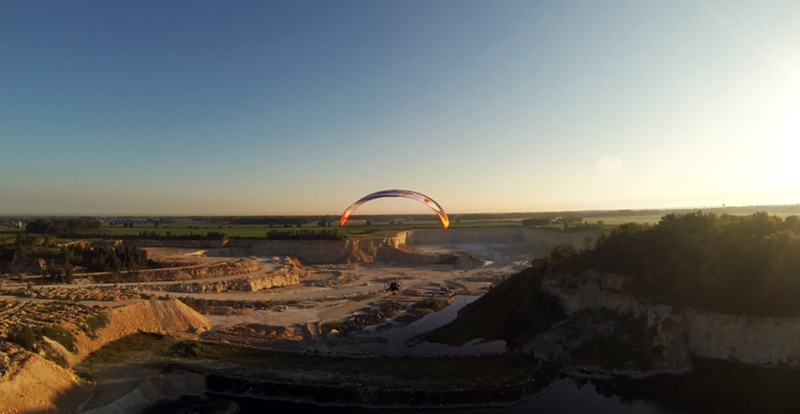 Most of my flying was done on the Gin Vantage 22 – an awesome all-around wing for me. I flew the Mirage a handful of times, and I also got to borrow Dudek Hadron‘s in various sizes, further making me want to get my hands on a custom 20 meter. The Chicago paragliding guys had several friends with winches, and were doing free flight towing operations in the middle of the day. Some guys logged free-flights nearly two hours long, as conditions all weekend were so perfect. On Saturday afternoon, Othar and I took a midday motor flight to boost up to 6000′ to cloud base to go enjoy some cool air and a scattered layer of fluffy cumulus clouds. You haven’t seen this part of the country until you’ve seen it in this environment, so beautiful. It was a little strange for me, as Othar and I were both flying fast, competitive reflex gliders trying to core weak thermals to help our climb rate out. It was yet another experience that gave me confidence in the Gin Mirage, despite active midday air – it stayed together. At the end of the flying day on Saturday, Jaro had barbecue sausages and music, flashing strobes and even a smoke machine. The unofficial term for this party was the “Disco Sausage Fest.” I was overjoyed to see Michael Mixer in good spirits and moving around, and got to talk with him a bit. 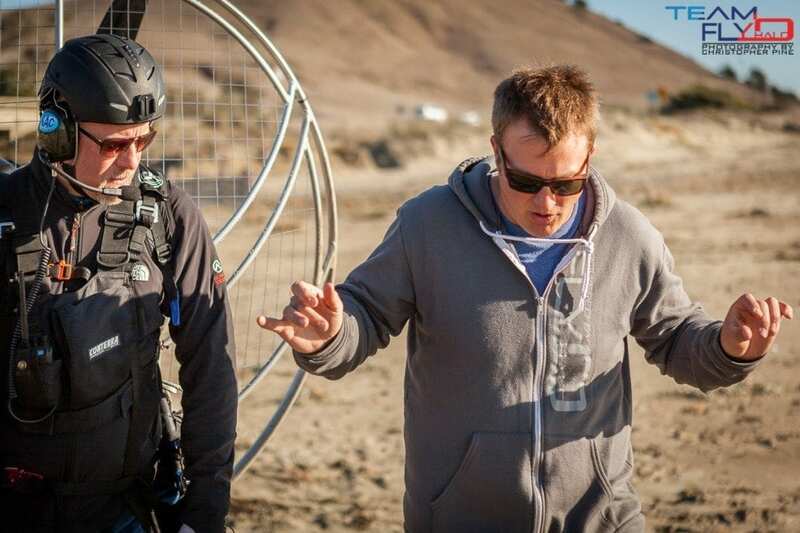 He was actually out on the flight line during the mid day coaching three students through kiting practice. Michael logged some trike time, and assured me that he will be back up and foot-launching by next spring. I had a 6:00am departure out of Midway Sunday morning, so I had to book it early and miss the last day. It was such a fun weekend seeing old friends and meeting new ones, enjoying the perfect weather and flying all sorts of new gear. Wanted to give a big thanks to Othar Lawrence for putting me up – and putting up with me all weekend. Also for being a bad*** pilot in general, and making that Red Bull GT-R look rad every step of the way. Also to Jeff Goin for the hospitality and mentorship, and Jaro for putting on the flying sausage fest.